Over/Under: Over 159.5 at 1.90 Bet Now! On a night when some Euroleague teams are meeting for the first or reuniting after decades apart, this is a game between two teams who know each other very well. This will be the 35th time that these two teams have clashed and the record in Catalonia is very much in favour of Barcelona. A 12-4 record suggests that Barca are favourites for this one, but every new game is a fresh challenge. 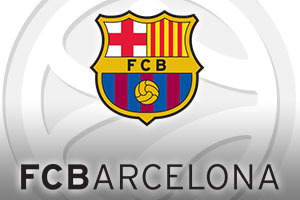 The Catalonian club will be keen to grab a home win and start building their route to the Top 16. It hasn’t been easy this campaign and the absence of Justin Doellman has certainly blighted Barcelona so far. However, with players like Ante Tomic and Samardo Samuels on offer, it is not as if the Catalan club are short of high quality players. 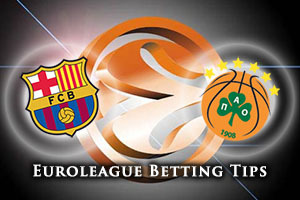 With a big crowd backing them, FC Barcelona know that they have enough to overcome very tough opponents in this game. Stratos Perperoglou will have an added incentive to deliver against his former team-mates, and he could be worth keeping an eye out for. The last time Athens won in Barcelona came in the 2013 Playoffs, which isn’t that long ago. The 65-66 win was clinched with a three point shot from Dimitris Diamantidis and who wouldn’t bet on him doing the exact same again in this one. The player is still hunting down goal scoring records and heading into this game, his scoring record stands at 2,334 in the Euroleague, which isn’t bad at all. Of course, Panathinaikos are far from a one-man team and players like Nick Calathes have been central to the Panathainkos game-plan so far this campaign. Both teams are 1-1 going into this game. It is unlikely to be a runaway victory but with Barcelona available at -5, with odds of 1.90, there are some decent bets to be made going into this game. You’ll also find that the Over/Under market is of benefit, so look to go OVER 149.5 at odds of 1.90 for this one. Bet Now!